China is assuming global leadership on climate, now the US is backing out. But how is that related to the grassroot feelings of its citizens? 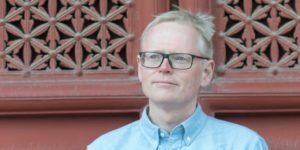 ChinaDialogue asks author Ian Johnson of The Souls of China: The Return of Religion After Mao on the links between the environment and the emerging Daoism. IJ: On the more abstract level there is this idea that the body is a microcosm of the universe. You can recreate the universe in your body through different cultivation techniques. When Daoists meditate in a cave they talk about going back to the womb of the earth, trying to resync with the earth on some symbolic level. On the other hand I think it’s a mistake to translate the traditional Daoist concept of ziran (自然, nature) in a modern ecological way. It’s more of an idea that you should be part of the cosmos (顺其自然). Concretely there are moves by Daosim to position itself as a green religion. But in my view it seems to be an effort to rebrand itself because people have a hard time understanding what Daosim is. The so-called ‘world religions’ like Islam, Christianity and Buddhism, all have clear stories. Shakyamuni was a prince. He went outside and saw the world suffering. Then he discovered the solution to suffering was to end desire. Daoism is more of a folk religion which doesn’t really have a clear story, even though it is inside so much of Chinese culture, from Tai Chi to Fengshui. Marketing Daoism proves to be difficult. For historical reasons, it was also socially marginalised by the Manchurian rulers of the Qing Dynasty who were Buddhists. The result is that even today the educational level of Daoist priests tends to be low. Almost nobody has a university degree. Buddhist temples would have monks with doctoral degrees who are much more able to tell stories and convert people. So Daoism is faced with a crisis and turns to ecology as a re-marketing opportunity. I don’t mean it’s disingenuous or that it’s fake. But whether it will succeed or not is debatable. CD: Do you think Chinese religions have the potential of forming the foundation of a new environmental awareness and to contribute to the global conversation about conservation? IJ: There is potential in the sense that most of the temples are in the countryside and in mountainous areas. They used to have large land holdings. And some of them present themselves as stewards of these areas. I know some Daoist temples around Maoshan outside of Nanjing have organic tea and organic herbal products. The challenge for them is again the educational level of the priests who have difficulty marketing themselves successfully to the better educated urban elites. They even have trouble writing the promotional materials. Nowadays there are local governments that assist Daoist temples in marketing and attempts to elevate the level of sophistication of Daoism in general. I think overall, Chinese are thinking about the same issues as other people around the world. These ideas that societies are not organised fairly, that there is a lack of justice and transparency which led to great political upheavals in the West concern Chinese society as well. If there is one idea that unites all the faith groups I’ve followed, it is the idea of justice, and of “tian” or heaven. I think that’s a very strongly Chinese idea that society should be just. And justice is not something given by a party or a political campaign but it is divinely given. In Miaofengshan, these pilgrimage groups all perform stories of righteousness as part of their rituals. The spiritual revival shows that Chinese people are participating in this global conversation. And it would be interesting to see if China through Daosim or other religions could contribute something unique. Ian Johnson is a speaker at the China Speakers Bureau. Do you need him at your meeting or conference? Do get on touch or fill in our speakers’ request form. Are you interested in more political experts at the China Speakers Bureau? Do check out this list.